45 posts categorized "BPA & Phthalates"
"Ordinary school cleaning supplies can expose children to multiple chemicals linked to asthma, cancer, and other documented health problems and to hundreds of other air contaminants that have never been tested for safety, a study by the Environmental Working Group shows. Laboratory tests done for EWG found that a typical assortment of cleaning products released 457 distinct chemicals into the air..."
Our Take: This study reveals the ugly truth: that so many common products that we use every day are laden with potentially harmful chemicals. The good news - there are many simple DIY alternatives. Op-ed columnist Nicholas D. Kristoff isn't taking Consumer Reports Magazine's latest study on BPA lightly. 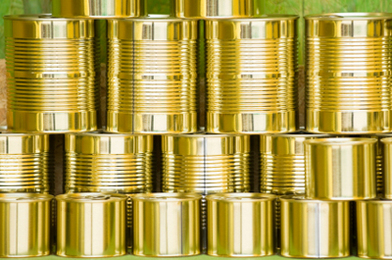 The report found BPA prevalent in an array of canned food products. BPA - "a synthetic estrogen that united states factories now use in everything from plastics to epoxies..." is found in more than 92 percent of American's urine, he said. The chemical has been linked to increased likelihood of cardiovascular disease and genital malformation, among other maladies. He points to impending legislative action to limit the use of the chemical, and ends by noting that, "While the evidence isn't conclusive, it justifies precautions. In my family, we're cutting down on the use of those plastic containers that contain BPA to store or microwave food, and I'm drinking water out of a metal bottle now..."
Researcher Frederick vom Saal stated that four years ago, he conducted an unpublished test on SIGG bottles and found leaching in the parts-per-trillion range. In light of vom Saal’s statements in an article in The Star, Z Recommends was able to discuss test results they received from a different independent test conducted on a SIGG bottle with the old liner. Read the entire Z Recommends article. The article does reaffirm the fact that leaching at anything below the 2ppb level is very minute. A Canada Health study helps put this in perspective, finding that the average bottled water contains 1.5 ppb of BPA. We'll keep you posted if/when more information on these unpublished tests comes out. Meanwhile, you can learn more in our BPA and SIGG FAQs. SNEWS was among the first to press with news that “Both SIGG and Laken have acknowledged to SNEWS that until August 2008, every aluminum bottle they produced and sold was lined with a water-based epoxy that contained BPA. 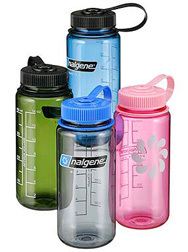 To their credit, both have told SNEWS that since August 2008, all bottles manufactured by Laken and SIGG are being made with new liners that are certified to be BPA- and phthalate-free.” Get fee access to the entire SNEWS store here. Our Take : As you can imagine, this has been the topic of conversation around the office since this article was released, and it’s something we take very seriously. Many of you have been asking for our take on this issue. We’ve been collecting information, sorting facts from rumors and presenting it an easily-digestible format. Please read our updated SIGG and BPA FAQs for more information. 1. There’s no question SIGG messed up by waiting until now to come out with the contents of their old liner. 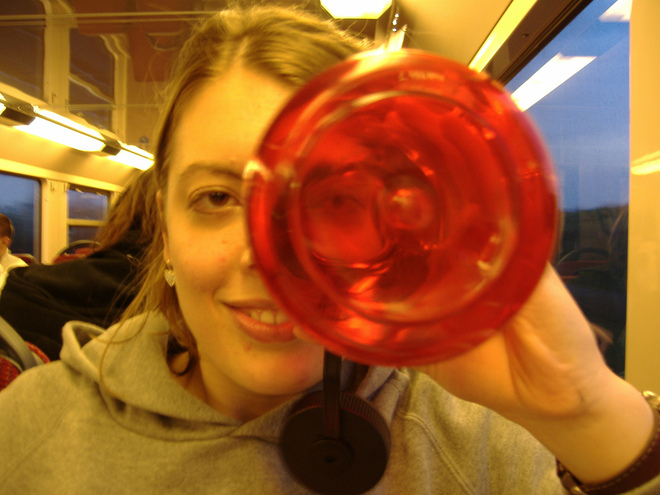 That said, if you have a bottle with SIGG’s old liner, we believe it is safe for most people. Since unanswered questions remain about BPA in general, we recommend you read our SIGG FAQ see which liner your bottle has and determine what makes sense for you. 2. SIGG’s new EcoCare liner is safe. It’s been independently tested and SIGG confirms it is free of BPA, phthalates, BPB and other harmful chemicals. Nothing harmful is used and nothing leaches from this liner. As far as Laken is concerned, all bottles we offer (and have ever sold) by them use their certified BPA-free liner. To learn more about their old liner, see our Laken FAQ. "This holiday season is going to be 'buyer beware,'" says Elizabeth Hitchcock of the U.S. Public Interest Research Group. 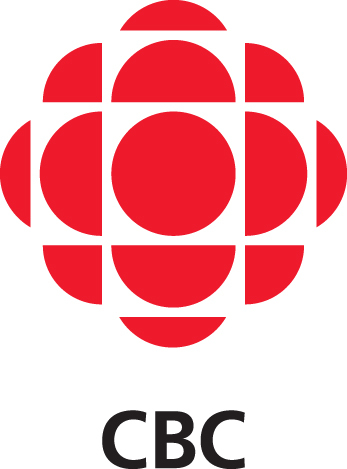 Consumers will see "toys marked down at a discount without knowing that they contain a substance that will be banned in February," says Ms. Hitchcock. That could "present a tremendous danger," she says, because the lower prices will be all the more appealing to shoppers during an economic downturn. Over the last twenty years, scientists have built a mountain of evidence that Bisphenol A, the key ingredient in polycarbonate plastic, should scare the daylights out of us. It should have been banned a long time ago, as a precautionary measure, but regulators were asleep at the switch -- allowing the chemical industry to run roughshod over them. Many scientists and environmental advocates believe man-made components in plastics -- particularly a group of compounds called phthalates and another hormonally active chemical known as bisphenol A, or BPA -- can leach harmful chemicals that get absorbed into our bodies. The financial stakes are huge: Plastics is the country's third-largest manufacturing industry, employing 1.1 million workers and producing nearly $379 billion worth of goods each year. Last year, an expert panel using outside scientists minimized the health risks of BPA, but its findings were widely assailed after a congressional investigation found that a firm hired to perform scientific analysis was also working for the chemical industry. 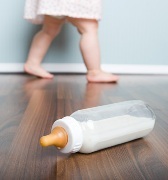 A recent study has found that some popular plastic baby bottles are leaching a hormone-disrupting chemical that, when heated, possibly pose a danger to infants. The study, which focused on six major brands of baby bottles sold in the United States and Canada, found that bisphenol A, used to make polycarbonate plastic, was given off by heated bottles in amounts that were within the range shown to cause harm in animal studies. Many common household products contain compounds that could be affecting our health. The shocking thing is that we really don't know the health effects of many of these chemicals on the market today. Under the Toxic Substances Control Act of 1976, chemicals already in use were grandfathered in without scrutiny. These include the three classes of compounds targeted in a November report released by a coalition of environmental groups, "Is It in Us? "—a plastic strengthener called bisphenol A (BPA), brominated flame retardants known as PBDEs and plastic softeners called phthalates. 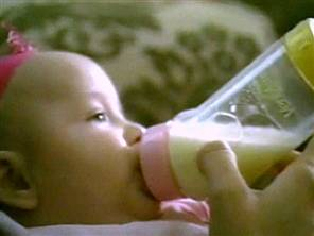 Bisphenol A is a basic constituent of the polycarbonate plastics found in many baby bottles, sippy cups and juice bottles. Although the chemical industry and FDA say they are safe, there is evidence to the contrary. Research studies show that low-dose exposures, particularly during gestation, may later lead to breast and prostate cancer, abnormalities in the reproductive tract and behavioral problems, among other things. Phthalates have also raised concern: these compounds are used to soften the plastics in products such as rubber duckies, vinyl shower curtains, certain medical devices, and are also found in hundreds of personal care products (e.g. fragrances, body lotions, nail polishes and shampoos). Potential problems from exposure include abnormalities to the reproductive tract and a decline in sperm quality. The flame retardants, PBDEs, are found in fabrics, upholstery, foam mattresses, circuit boards and the casings of computers and televisions and animal studies show they can have negative impacts on learning and memory, sperm counts and thyroid functioning. Our Take: ReusableBags.com has been providing education, leadership and safe alternatives for the past five years. With more awareness of these issues, we hope to see some real change! A reminder that all the bottles we carry are BPA-free. Mountain Equipment Co-op, Canada's largest specialty outdoor-goods retailer, says it has pulled most food and beverage containers made of polycarbonate plastic from its shelves, citing concern over possible health risks. 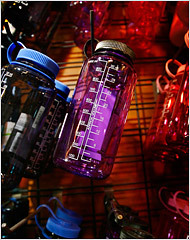 The Vancouver-based firm been one of the largest sellers of such products as polycarbonate Nalgene water bottles. 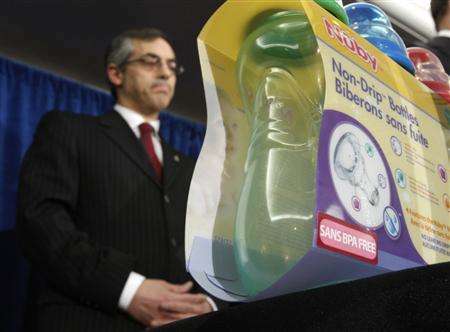 The plastic in question is made mostly from bisphenol A, which mimics estrogen and is derived from petrochemicals. Our Take: We've been promoting and offering safe reusable bottles for years. Mounting evidence of health risks and reactions like this reinforces the importance of avoiding cheap bottles and/or ones made from controversial materials like polycarbonate. Replace your polycarbonate bottle with a safe option today! From childhood, we're told to drink at least eight glasses of water each day. Unfortunately more and more Americans drink those eight glasses out of plastic bottles—a convenience that stuffs landfills, clogs waterways and guzzles valuable fossil fuels. Not only does bottled water contribute to excessive waste, but it costs us a thousand times more than water from our faucet at home, and it is, in fact, no safer or cleaner. Water aside, the plastic used in both single-use and reusable bottles can pose more of a contamination threat than the water. A safe plastic if used only once, #1 polyethylene terephthalate (PET or PETE) is the most common resin used in disposable bottles. However, as #1 bottles are reused, which they commonly are, they can leach chemicals such as DEHA, a known carcinogen, and benzyl butyl phthalate (BBP), a potential hormone disrupter. While single-use water bottles should never be used more than once, some reusable water bottles simply shouldn't be used. The debate continues over the safety of bisphenol A (BPA), a hormone-disrupting chemical known to leach out of the #7 polycarbonate plastic used to make a variety of products. Our Take: As the battle over bottled water rages on, the best reusable choices come in stainless steel, aluminum and non-leaching plastics. Our store offers several of the brands endorsed in this story. Bottled water is here to stay, a booming industry that grosses more than $7 billion dollars a year in the US alone. Water is necesary, and maintaining hydration is essential to good health (note the increased demand the body calls for when pregnant, breastfeeding and exercising ). But the bottle you drink from may be dangerous to your health. Link: Drink Deeply, From The Safest Container . Evidence is mounting that a chemical in plastic that is one of the world's most widely used industrial compounds may be risky in the small amounts that seep from bottles and food packaging, according to a report to be published this week in a scientific journal. Link: Study Cites Risk of Compound in Plastic Bottles. Choose your plastic water bottles carefully -- Clear, lightweight, and sturdy polycarbonate plastic bottles are standard equipment for millions of hikers and babies. (They are usually labeled #7 on the bottom; Nalgene is the best-known producer.) Since polycarbonate bottles don’t impart a taste to fluids, many users assume they are safer than bottles made out of other kinds of plastic. But now an accidental discovery has cast doubt on their safety. "We just stumbled into this," says Hunt, "but we have been stunned by what we have seen." Most at risk, says Colborn, are people with developing endocrine systems: pregnant women and newborns, followed by young children, and women who might get pregnant. Link: November/December 2003 - Sierra Magazine - Sierra Club.